We know — you're probably thinking, "oh, another millennial-targeted company that has no idea what we actually want." But for once, that's not the case. Fellow millennials Natalie (the former CMO of Pencils of Promise) and Caleb (the former head of financial planning and analysis for Warby Parker) Ebel, a husband and wife duo, have created the new startup BackDrop. 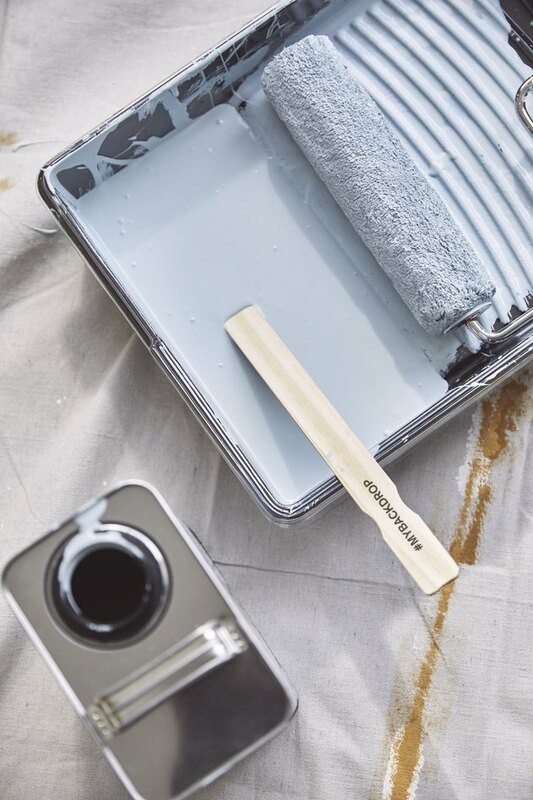 It's a direct-to-consumer company dedicated to making the process of painting your house easier — and more fun — than ever. 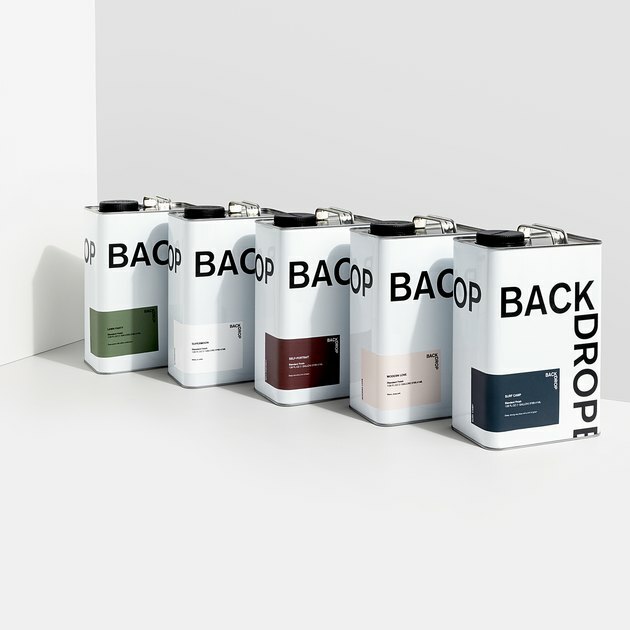 "We wanted to create the brand, products, and customer experience that we were looking for but couldn't find after painting every home we've lived in," Caleb said. "Each time we were appalled by the hardware store paint brands and process, which haven't changed in 100 years." BackDrop's concept is simple: order samples, choose the winning colors, get supplies, and paint away. The company offers 50 different colors with funky names à la Miami Parasol, a subdued yellow; Interior Motives, a greige; Lawn Party, a sage green; and Dark Arts, pure black. Start by ordering several 12- by 12-inch self-adhesive samples (no more of those tiny strips you'll find at the hardware store) that you can stick up on your walls to get a real sense of how each color will look. Once you've picked your poison, you can use BackDrop's calculator to figure out exactly how much paint you'll need. Finally, when you buy your paint, you can also order an 11-piece essentials kit that covers all the basics like tape, rollers, and trays. Plus, there's a digital guide that'll help explain the entire process and offer helpful tips and tricks. There's one final thing to note — BackDrop has partnered with The International Rescue Committee, so part of your purchase will go toward helping refugees around the world.